February 13, 2015 – CAP: Jared Evans defeated Max Caster. April 18, 2015 – CAP: Brian Myers, Max Caster and Pat Buck defeated Jared Evans, Joe Bronson and Maxwell Jacob Feinstein. 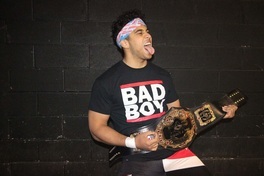 May 8, 2015 – FBW: CPA, Debbie Kane, Javier Nieves, Max Caster and Vinny Spano defeated Conor Claxton, Jared Evans, Joe Bronson, Mark Sterling and Maxwell Jacob Feinstein. May 31, 2015 – CAP: Max Caster defeated Jared Evans. 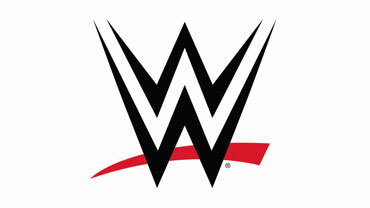 July 19, 2015 – CAP: Max Caster defeated Jared Evans by disqualification. August 30, 2015 – CAP: Max Caster defeated Jared Evans. October 30, 2015 – CAP: John Silver defeated Max Caster. November 27, 2015 – CAP: Max Caster defeated Mark Sterling in the 1st round. Max Caster defeated Kai Katana in the quarter-finals. Max Caster defeated Johnny Clash in the semi-finals. Max Caster defeated Alex Reynolds to win the tournament and vacant CAP title. January 26, 2016 – CZW Dojo Wars: Business Casual (Hous Blazer & Pete Lightning) and George Gatton defeated Blackwater, David John Willard and Max Caster. January 31, 2016 – CAP: Max Caster defeated Fallah Bahh to retain the CAP title. February 3, 2016 – CZW Dojo Wars: Jeff Cannonball defeated Max Caster. February 10, 2016 – CZW Dojo Wars: Max Caster defeated Frankie Pickard. March 5, 2016 – WrestlePro: Steve Scott defeated Jake Manning, Ken Broadway, Max Caster and Rex Lawless and Talon in a 6-way match. March 9, 2016 – CZW Dojo Wars: Max Caster defeated Lloyd Jameson. March 13, 2016 – CAP: Max Caster defeated Robbie E to retain the CAP title. March 16, 2016 – CZW Dojo Wars: Trooper Audubon defeated Max Caster. March 25, 2016 – CZW Dojo Wars Mega Event 2: Josh Adams and Max Caster defeated Business Casual (Hous Blazer and Pete Lightning). April 17, 2016 – CAP: Max Caster defeated Kai Katana to retain the CAP title. April 20, 2016 – CZW Dojo Wars: Qefka The Quiet defeated Max Caster. May 3, 2016 – CZW Dojo Wars: Neiko Sozio defeated Max Caster. May 11, 2016 – CZW Dojo Wars: Dan O’Hare defeated Max Caster. May 18, 2016 – CZW Dojo Wars: Alexander James, Isaac Atrox, Laszlo Arpad and Lloyd Jameson defeated Josh Adams, Kit Osbourne, Max Caster and Robert Locke. June 1, 2016 – CZW Dojo Wars: Max Caster defeated Laszlo Arpad. June 5, 2016 – CAP: Mario Bokara defeated Max Caster to win the CAP title. June 8, 2016 – CZW Dojo Wars: Arana Estrada defeated Max Caster. June 22, 2016 – CZW Dojo Wars: Mike Orlando defeated Max Caster. June 24, 2016 – WFW: Alvin Alvarez defeated Max Caster. June 25, 2016 – NLW: Mike Law defeated Max Caster. June 29, 2016 – CZW Dojo Wars: Pete Lightning defeated Max Caster. July 17, 2016 – CAP: Max Caster defeated Alex Reynolds and John Silver in a 3-way match to win the vacant CAP title. July 20, 2016 – CZW Dojo Wars: Max Caster defeated Leeor Brooks. August 3, 2016 – CZW Dojo Wars: Max Caster defeated Nate Carter. August 10, 2016 – CZW Dojo Wars: Ace Austin defeated Max Caster. August 17, 2016 – CZW Dojo Wars: Max Caster defeated Ace Austin. August 18, 2016 – Tier 1 / WOW: Max Caster defeated Maxwell Jacob Feinstein to retain the CAP title. August 31, 2016 – CZW Dojo Wars: Max Caster defeated Tulpa. September 7, 2016 – CZW Dojo Wars: Max Caster defeated Laszlo Arpad. September 11, 2016 – CAP: Max Caster defeated Kevin Tibbs to retain the CAP title. September 14, 2016 – CZW Dojo Wars: Max Caster defeated Ace Austin. September 21, 2016 – CAP: Max Caster vs. Wheeler YUTA ended in a time limit draw. September 28, 2016 – CZW Dojo Wars: Max Caster defeated Bear Bronson. October 5, 2016 – CZW Dojo Wars: Max Caster defeated Billy Danvers. October 8, 2016 – SWA: EA James defeated Max Caster. October 19, 2016 – CZW Dojo Wars: Max Caster defeated Kit Osbourne by count-out. October 26, 2016 – CZW Dojo Wars: Wheeler YUTA defeated Max Caster. October 27, 2016 – CAP: Max Caster defeated Alex Reynolds, Kevin Tibbs and Tony Nese in a 4-way match to retain the CAP title. October 28, 2016 – BCW: Eric Jayden defeated Max Caster. November 9, 2016 – CZW Dojo Wars: Max Caster defeated Conor Claxton. November 17, 2016 – CAP: Max Caster defeated Mario Bokara to retain the CAP title. November 30, 2016 – CZW Dojo Wars: Max Caster defeated Curt Robinson. December 7, 2016 – CZW Dojo Wars: Frankie Pickard defeated Max Caster in a best 2 out of 3 falls match to retain the Medal Of Valor title. December 10, 2016 – SWA: Sebastian Cage defeated Apollyon, Jimmy Cash and Max Caster in a 4-way match. December 28, 2016 – CZW Dojo Wars: Blackwater defeated Max Caster in a best 2 out of 3 falls match to retain the Medal Of Valor title. January 7, 2017 – Blitzkrieg Pro: Evander James defeated Max Caster. January 13, 2017 – NLW: Steve Somerset defeated Kevin Tibbs and Max Caster in a 3-way match. January 20, 2017 – CAP: Mark Sterling defeated defeated Max Caster to win the CAP title. March 11, 2017 – WrestlePro: Ken Dixon defeated Chris Steeler, Hush, Johnny Clash, Max Caster and Hotdog Starkes in a 6-way match. March 15, 2017 – CZW Dojo Wars: Max Caster defeated John Rockhold. April 15, 2017 – FBW: Talon defeated Max Caster. May 3, 2017 – Rockstar Pro: Pompano Joe defeated Cole Radrick, Daniel Winchester, Darin Dinero, James Avery, Max Caster and Tahir James in a 7-way match. June 3, 2017 – CAP: Mark Sterling defeated Johnny Clash and Max Caster in a 3-way match to retain the CAP title. June 14, 2017 – CZW Dojo Wars: Anthony Bennett defeated Max Caster. July 12, 2017 – CZW Dojo Wars: Jimmy Lloyd defeated Max Caster. August 18, 2017 – CZW Dojo Wars: Ace Austin Shakespeare defeated Max Caster. September 8, 2017 – CAP: Johnny Clash defeated Max Caster to become #1 contender for the CAP title. September 27, 2017 – CZW Dojo Wars: Frankie Pickard defeated Max Caster. September 30, 2017 – NYWC: Joe Gacy defeated Jaden Valo, Kit Osbourne, Max Caster, Mouse and Tyler Murphy in a 6-way match to become #1 contender for the Fusion title. October 25, 2017 – CZW Dojo Wars: Max Caster defeated Danny G, Eric Martin and Tahir James in a 4-way match. October 27, 2017 – CAP: Alex Reynolds defeated Joey Mercury, Max Caster and Pat Buck in a 4-way match. November 1, 2017 – CZW Dojo Wars: Tulpa defeated Max Caster by disqualification. November 15, 2017 – CZW Dojo Wars: Max Caster defeated Kris Stadtlander. December 1, 2017 – CZW Dojo Wars: Max Caster defeated Charlie Tiger. December 21, 2017 – CZW Dojo Wars: Max Caster defeated Jordan Oliver. January 20, 2018 – CZW: Max Caster defeated Grim. March 2, 2018 – FBW: Bryce Donovan and Max Caster defeated Steve Somerset and Tony Booze in a dark match. March 10, 2018 – VPW: Kevin Tibbs defeated Max Caster. April 13, 2018 – CAP: The Breakfast Club (CPA & Francis Kipland Stevens) and James Ellsworth defeated The Shook Crew (Bobby Orlando, Bryce Donovan and Max Caster). April 20, 2018 – FBW: The Elements (Iceberg and Pyro Pulse) defeated Bryce Donovan and Max Caster. April 28, 2018 – VPW: Max Caster defeated Kevin Tibbs. May 19, 2018 – VPW: Max Caster and Sam L’Eternal defeated Kevin Tibbs and The White Girl. May 26, 2018 – WWWA: Leo Sweet defeated Max Caster to retain the High Impact title. June 9, 2018 – CAP: The Shook Crew (Bryce Donovan and Max Caster) defeated The Breakfast Club (CPA and Francis Kipland Stevens) to win the tag titles. June 23, 2018 – VPW: Kevin Tibbs defeated Max Caster.